Looking for good and affordable backpackers accommodation in Iran’s capital city can be quiet of a search. Tehran is a large metropolis and there is plenty of accommodation out there. To help you choose the best place to stay I’ve listed five hostels in Tehran that offer you a unique introduction to the county. 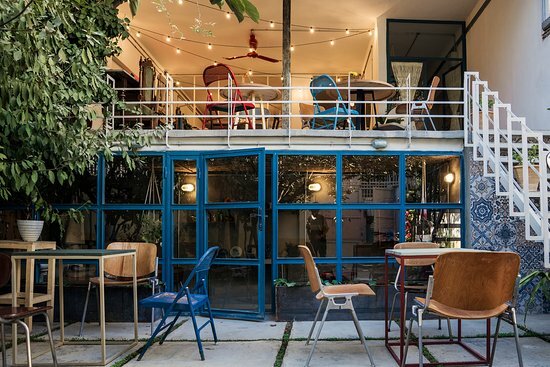 A brand-new boutique hostel in central Tehran, located inside an all-renovated building. 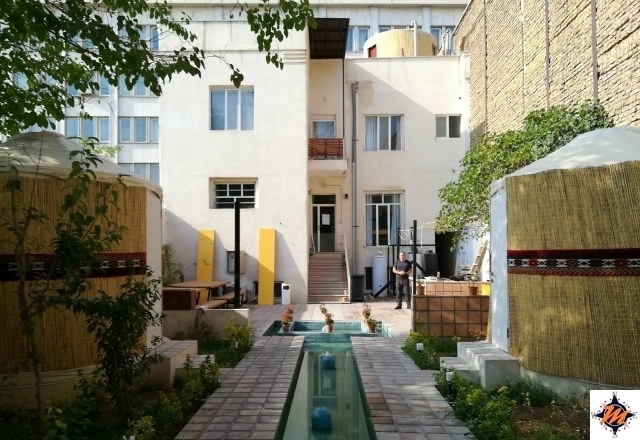 The hostel aims to offer backpackers and budget travellers a high-class travel experience, within a stone-throws distance from Tehran’s most famed touristic places. Whether you want to visit the National Arts Museum, the Grand Bazaar, the Golestan Palace or the Jewellery Museum; they’re all within reasonable walking distance from the hotel. Those not so keen on walking can use the metro, which is only 100 meters away. 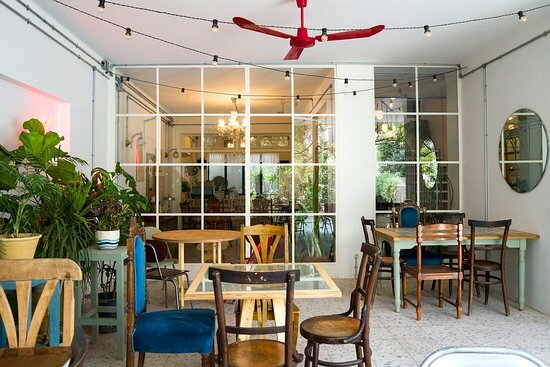 Surrounded by hip café’s, restaurants and juice-bars you won’t get hungry during your stay. Focussing on great facilities and service the Tehran Heritage Hostel offers different rooms for different experiences. Try one of their yurts or the heritage rooms for a unique experience. Besides that, private rooms and dormitories are also available at good prices. One of the wonderful things about the dormitories is that all beds are equipped with private curtains, personal lockers, electric sockets and a light on each bed. Add the free, working WIFI, a common kitchen and laundry facilities and you’ve just found yourself a backpackers heaven. Rated with a 9.6/10 on Hostel Word and 5/5 stars on TripAdvisor. Travellers love this place for the cleanliness, superb location, hospitable and the fabulous staff. 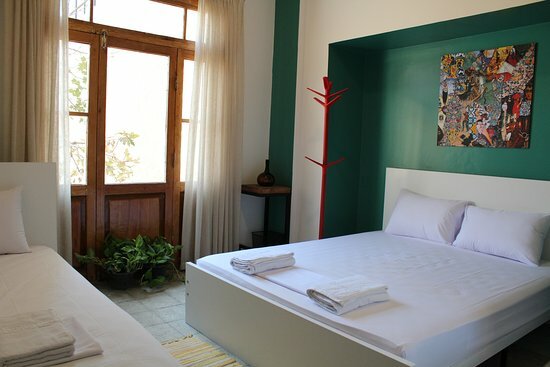 As well as the modernity of the building, the spacious rooms, comfortable bed, and relaxed atmosphere. All in all a great place to check out. Advertising their-selves as ‘Your home in Tehran’ the Hi Tehran Hostel offers not one, but two excellent options to stay in Iran’s capital city. The first hostel, on Bahar street, opened in 2017 and offers travellers a relaxed and cosy home. In near distance to the former US embassy and the Artist Forum. In addition, the Golestan Palace, Grand Bazaar and National Museum amongst others can easily be reached by foot. Equipped with a spacious garden and an in-property parking lot, this hostel easily facilitates large groups of cyclists and bikers. As well as people visiting with their own private car. Rated with a nine on Hostelworld. Travellers love this place for its clean, renovated and spacious rooms. As well as the self-service kitchen, the free breakfast, coffee and tea daylong and the friendly staff. Additionally, travellers mention the cleanliness of the bathroom and the in-room lockers as a plus. Another Hi Tehran hostel can be found on the St. Enghelab street; a popular street in a lively neighbourhood. Surrounded by art centres, museums, fancy cafés, and restaurants this location is great for people who want to experience some of Tehran’s contemporary scene. But also those looking for more traditional experiences can find enough within close distance. 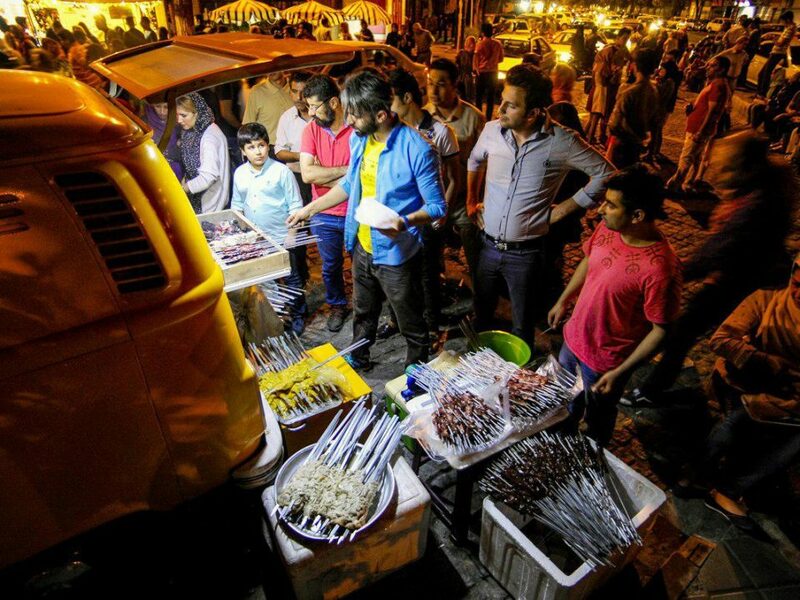 Especially Nejatollahi Street offers great Iranian dining options as well as numerous traditional handicraft stores. And with the Ferdowsi metro station just 150 meters away, it’s also easy to visit other places in the city. Offering private rooms and dormitories, as well a working space, a relax area, shared kitchen, and a modern cafe. The Hi Tehran Hostel Enghelab St. Branch does a great job at facilitating its visitors. In addition to the welcoming and helpful staff, travellers love the cleanliness, quietness and overall location of the hostel. Resulting in a high 9,5/10 score on Hostelworld. More than a hostel, ‘See you in Iran’ is a whole travel platform. By sharing experience and information their aim is to connect travellers to Iran and to battle Iranophobia. 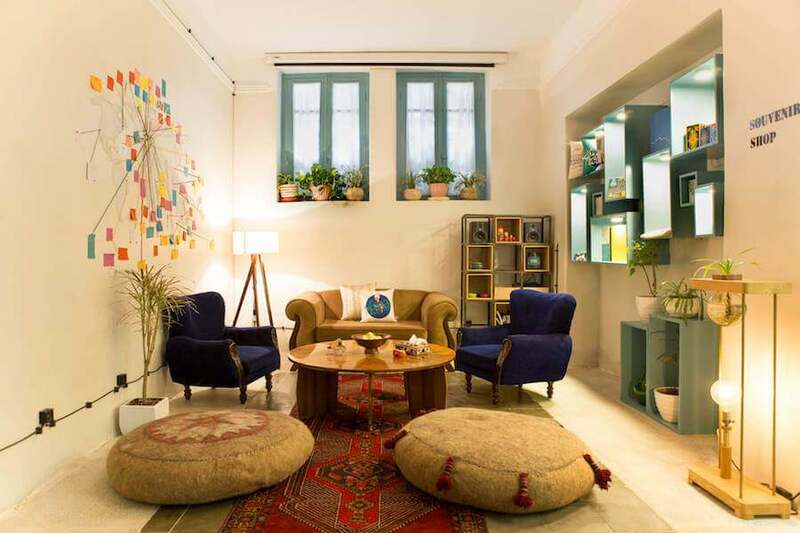 Together with their ‘Interactive, Hospitable, Multilingual, Artistic, Critical and Travellers’ mindset, you can expect an interesting experience staying at their low-budget hostel. Besides dormitories and private rooms, the hostel features a communal kitchen, a local handicraft store, an exhibition wall, and an outdoor garden. 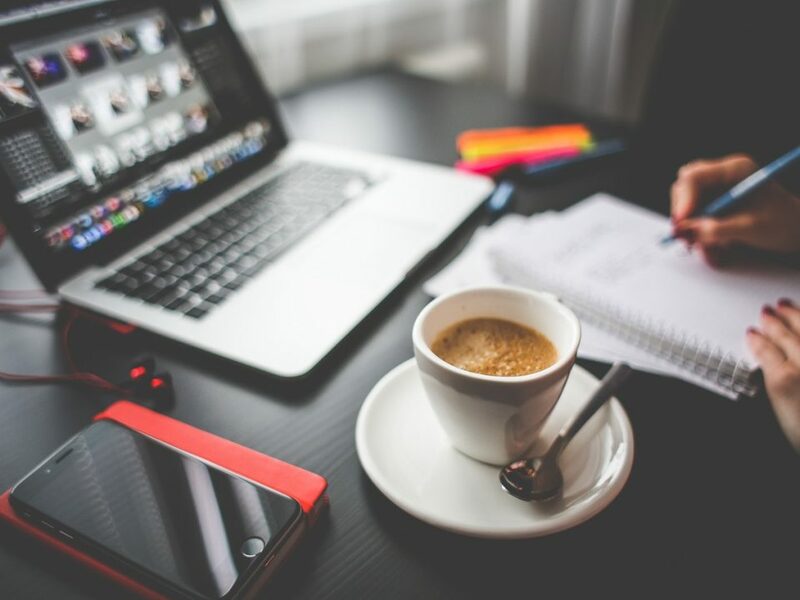 Interestingly, they also feature a cultural café which serves both as a living room as well as a space for cultural exchange and culturally engaged activities. Mentioned as ‘Top Choice Hostel’ in the Lonely Planet, the See you in Iran hostel is one of the most exiting hostels in Tehran. 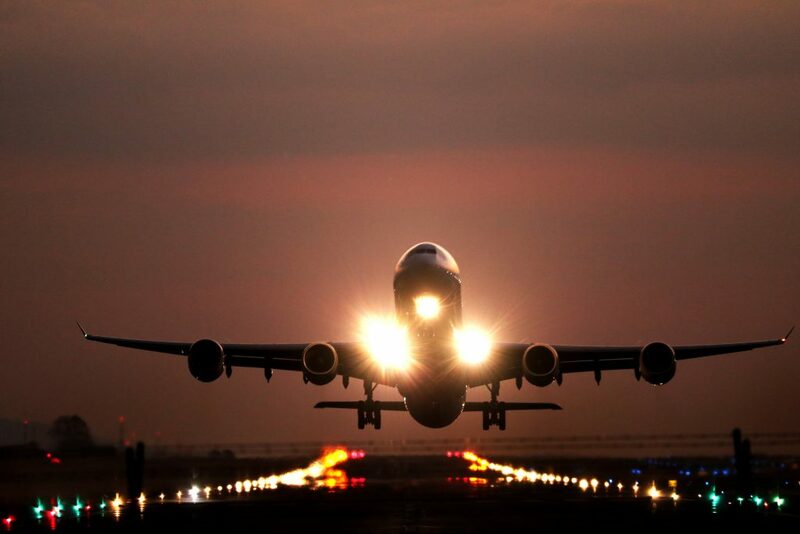 Because they help you experience the country from a whole different perspective. 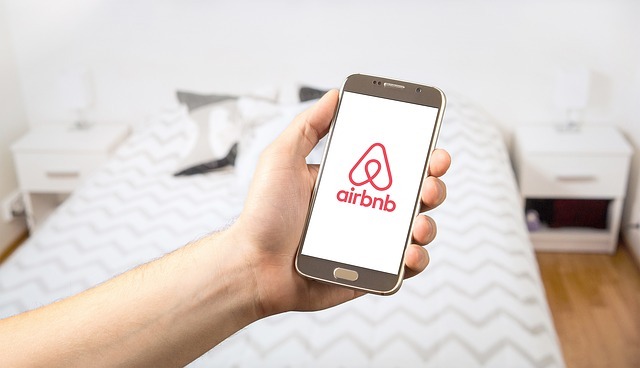 Rated with an ‘Excellent’ 4.5/5 stars on Tripadvisor, travellers love this place for the community sense, the decoration, safety and quietness, the helpful staff and the location in general. Also, their good coffee and tasty breakfast are mentioned as a big plus! The Seven Hostel in Tehran is part of a branch offering low-budget accommodation in several cities. Including; Shiraz, Isfahan, Yazd, Dizin, and Alamut. Claiming to be the first and oldest hostel in Iran, it might not be as new and modern as the other hostels on this list, yet it has a tremendous reputation as a backpackers hub. 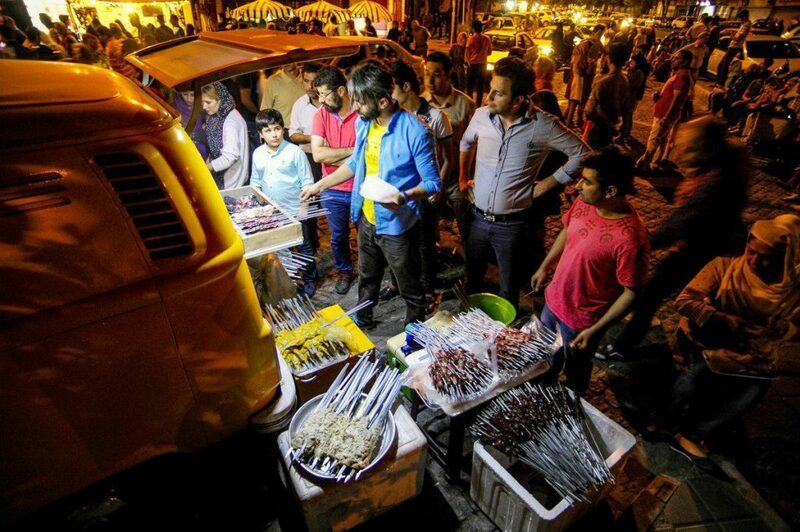 Located on just a five-minute walk to the Tehran Grand Bazaar, it won’t get more central than this! Offering private and shared rooms the Seven Hostel in Tehran differentiates itself from other hostels by offering small, four-people dormitories. In addition, all rooms are equipped with an in-room private bathroom. Rated with a 4,5/5 on Tripadvisor and an 8,2/10 on Hostel World. Guests love the value for money, the knowledgeable and helpful staff, the cleanliness and the central location. Also, the included breakfast, complimentary coffee and thee and the atmospheric rooftop terrace are often mentioned. Last but not least on the list is the newly opened Kargadan hostel. Build inside a fantastic renovated 1970’s flat. They aim to offer home-like accommodation as well as new city experiences to adventurous minds. 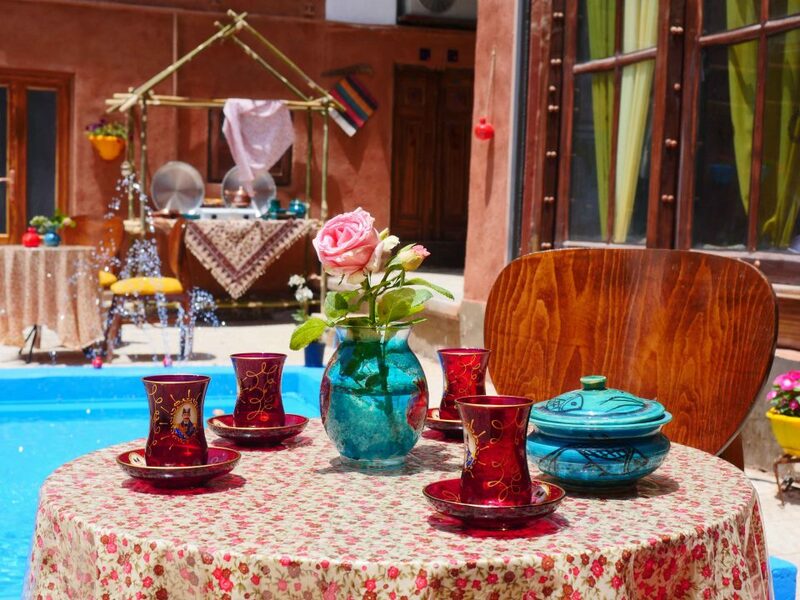 Enjoy cosy rooms with nostalgic high ceilings, old, vintage lamps, handcrafted mosaic tiles, and a green terrace. 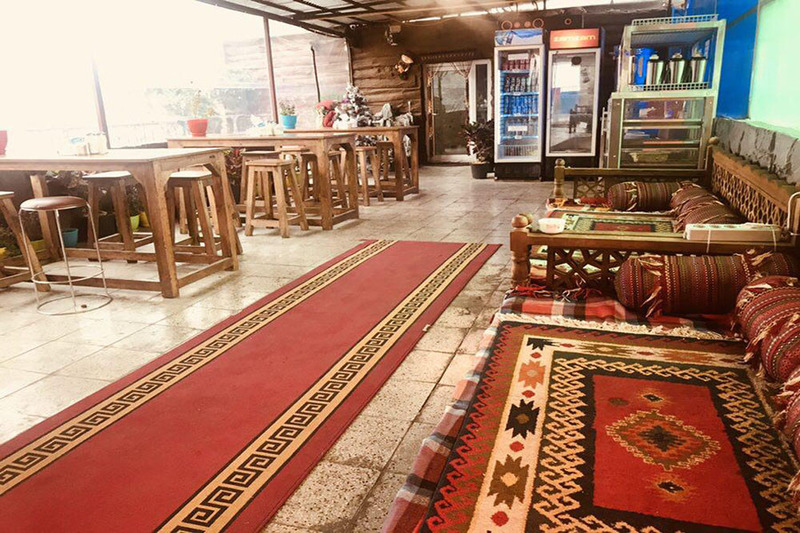 Serving both as a hostel and a café, almost everything is hand-made by the owners. Even the tiles, beds and furniture is made by hand! Looking at the dormitories, the Kargadan owners gave truly done their best to make you a good home. From reading lights to a shelf and a multi-socket to a privacy curtain and private lockers. All in small, but neat rooms, with high glass and decorative curtains. The common room, on the other hand, is a good place to meet other travellers and to sip freely available coffee and tea. Additionally, you can use the fully equipped kitchen or have a drink in the café. Although the place only has little reviews so far, with a 10/10 rating on Hostelworld I just had to mention this place. Travellers love the Kargadan hostel because of the wonderful atmosphere in the classical 1970’s house as well as the cleanliness, comfortable beds and the hot, rainforest showers. Also, the delicious home-made, room-included breakfast, free laundry service, and the terrace are favoured. Last but not least Omid and his sister Golshid are mentioned more than once as excellent hosts and service providers. Unfortunately, the Kardan hostel doesn’t have a website yet. Contact them through Instagram or make your booking through hostel world. What are you looking for when choosing a hostel? Or do you have any experiences to share? Share your thoughts through the comment section below!